You have to know what marketing channels on which devices are triggering your successful sales if you want the most cost-effective, results-oriented strategy possible. One of the best ways to keep track of what exactly is causing sales conversions is to use a multi-touch attribution model. Advanced marketing attribution has a lot to do with what we call “touchpoints”. Marketing touchpoints are defined by Chron as “an influential action initiated by a communication”. 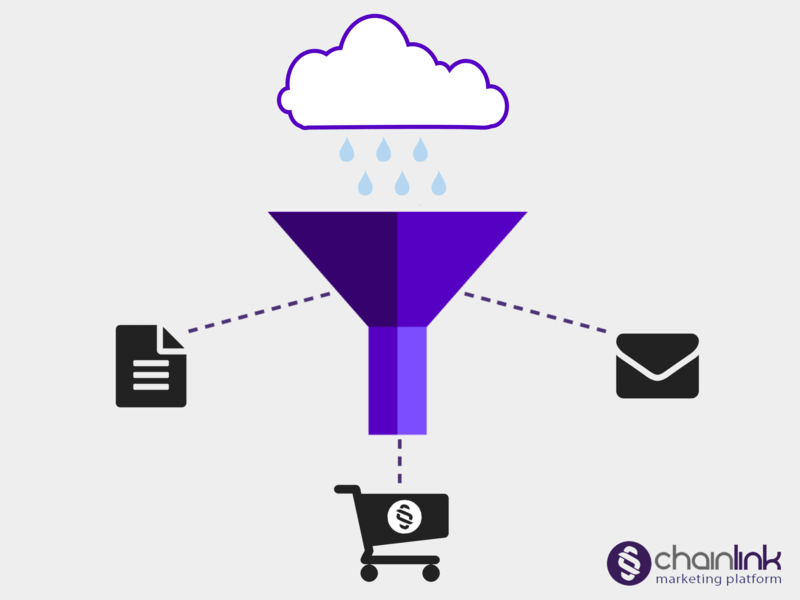 A touchpoint could be a digital ad, a video, a free resource like a whitepaper, or an email that pushed your prospect through the sales funnel to conversion. As stated by the company Singular, in proper attribution modeling, the dollar value from a sale is assigned proportionally to each touchpoint according to its influence on the customer’s purchase or conversion decision. When marketers utilize a digital marketing platform to create and analyze advanced, multi-touch attribution models, it empowers them to increase their ROI. For example, the Chainlink Marketing Platform allows users to input their actual spending for each campaign to quantify the ROI for each promotion. If you are running multiple social media influencer campaigns, you can track each one to see where you should increase or decrease your spending to optimize your overall returns. Let’s talk about the difference between a single-touch and multi-touch attribution model. A single-touchpoint attribution model is just a term for a marketing strategy that only focuses on sales conversions triggered by one specific kind of “touch”, or event. Meanwhile, in advanced multi-touch attribution modeling, you can identify the relationships between various touchpoints. Generally, marketers want to know which out of all their touchpoints are profitable, so they opt for an advanced model that can reveal that information. However, if you’re new to marketing attribution, starting out with a single-touchpoint model works well as it’s more straightforward and is a common starting point for many marketers. Single-touch attribution is not inherently wrong, but the advantage to using a mutli-touch is it enables better decisions using more accurate, data-based analytics. Single-touchpoint attribution can skew your data and you may miss opportunities to track various marketing efforts throughout the sales process if you’re not using a sophisticated multi-touch attribution model.. Some marketers question advanced marketing attribution, often stating it’s impossible to pinpoint what caused the end buyer’s final action and triggered a sale. However, while Chainlink agrees it can be difficult, we’d argue that those marketers just aren’t using the right tools that can dramatically add to the quantification vs qualification process. Thankfully, the Chainlink Marketing Platform is comprised of user-friendly tools that let you follow your customers across multiple touchpoints so you can accurately quantify the value and impact of every single interaction across your marketing campaigns and every single individual customer timeline. The Chainlink Marketing Platform lets you use advanced marketing attribution modeling for an affordable cost.